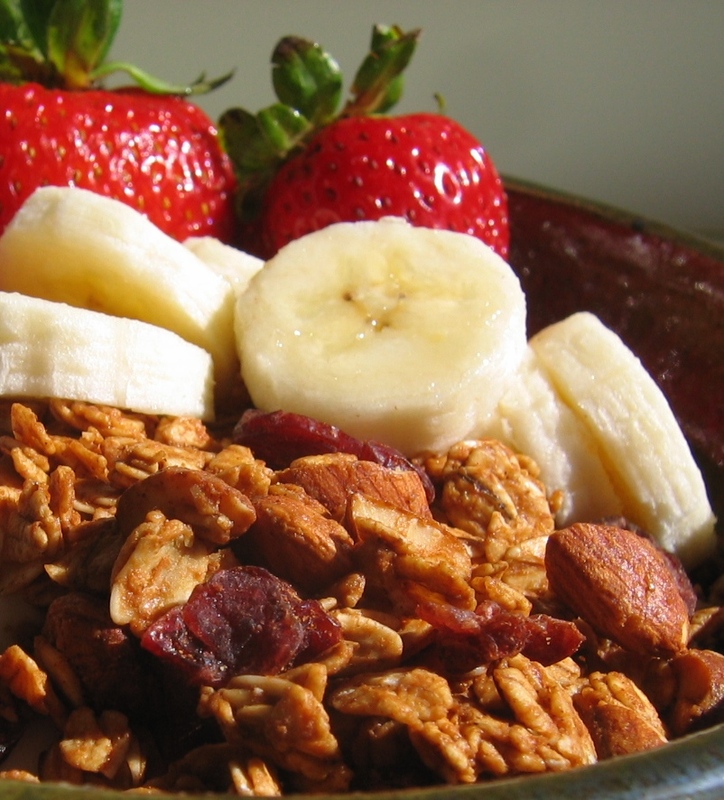 Try this easy-peasy recipe for snacking on the go. 1) Combine caramel, water, and cinnamon in a small saucepan. Over a low heat, melt until completely smooth, stirring occasionally. Remove from heat and stir in vanilla extract. 2) Lightly toast the almonds. Roughly chop while still hot/warm. Set aside. 3) Preheat the oven to 250˚F, place one oven rack on the bottom third and a second rack on the top third of the oven. Line two 18” x 13” rimmed baking sheets with parchment paper. 4) In a large bowl, combine the oats and almonds. Pour the warm caramel mixture over the oats and almond mixture. Mix evenly to coat the oats completely. 5) Divide the oat mixture between the two baking sheets and spread out to create thin, even layers. 6) Bake for 20 minutes. Stir the granola and re-spread on each sheet. Rotate the pans and switch positions in the oven. 7) Repeat step 6 two more times for a total of 60 minutes baking time. 8) Let cool completely on the baking sheets. 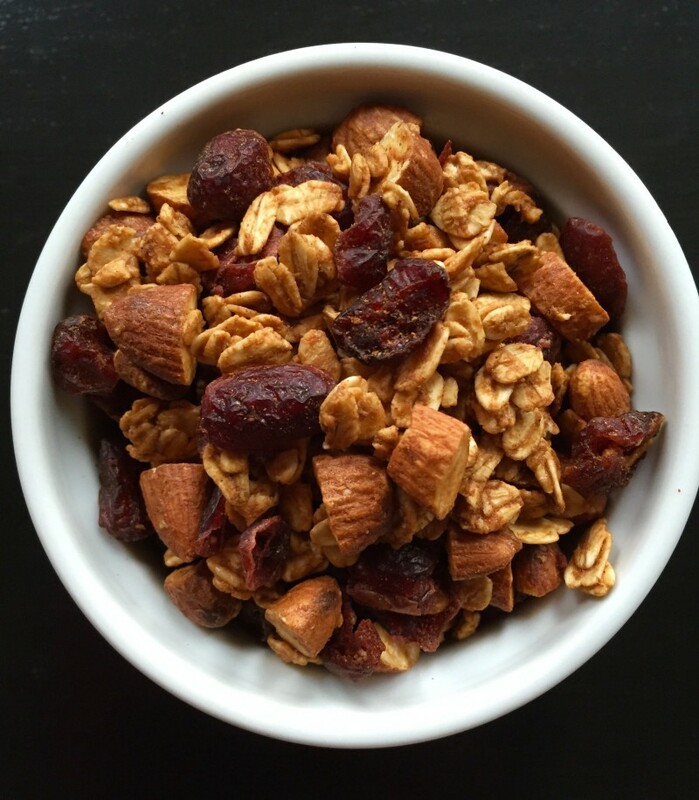 The granola will become crisp as it cools. Mix in the dried fruit and store in air-tight containers. The recipe can easily be halved. Vary the nuts and dried fruit according to your taste. Enjoy with yogurt and fresh fruit. This entry was posted in Blog and tagged caramel, granola, recipes.